Hello, Friends! You may have noticed things look a little different over here. I just recently transferred this near and dear food blog of mine from WordPress to Squarespace, and in the process a lot of my (and YOUR) favorite recipes were lost in translation (booooo) - like this one! I was able to recover the recipe and after re-doing the photos, I wanted to get it back out on the Interwebs ASAP! 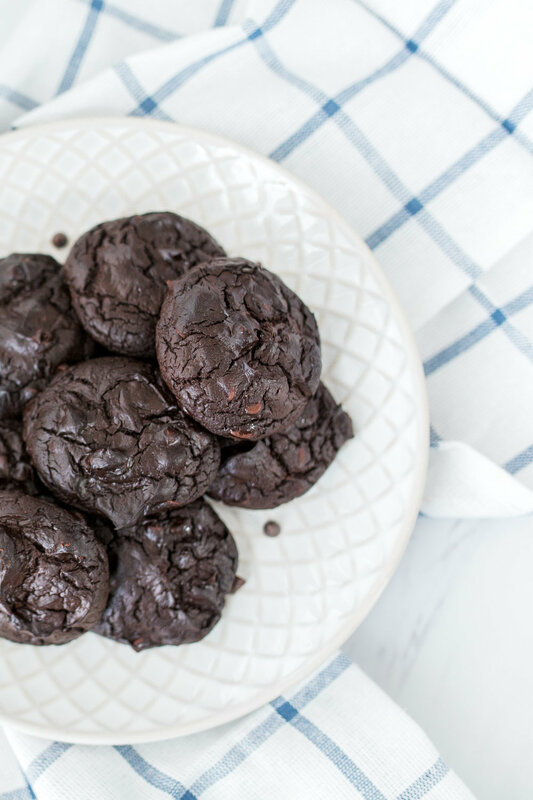 For those of you NEW to this double dark Chocolate Brownie Cooke recipe, well, you will NOT be disappointed. Especially if you like chocolate, and brownie's, and ultra soft gooey cookies. These are a mix of all three. AND, these perfect little cookies are made without flour, and with an entire avocado. Whether your an avocado fan or not (how dare you if not! ), you can not taste it (bonus for kids who won't touch it!). Yes that's right. Can't see it, can't taste it, but all the nutritious goodness is there for your body to absorb. I have a feeling this may be your new go-to cookie recipe. Enjoy! Store in an airtight container in the fridge. Also great in freezer! Notes: These cookies are ultra soft. Make sure you cool completely. They hold up best in fridge. To mix up flavor, you can add 1/4 teaspoon mint extract or almond extract! If you enjoyed this recipe, you may also like..